Over the weekend I had the honor of attending the first annual Best of Lehigh Valley party put on by Lehigh Valley Style Magazine. 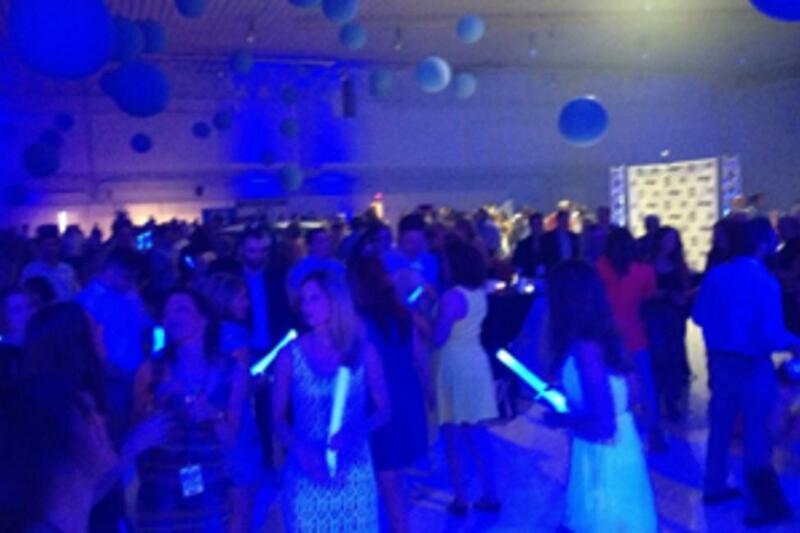 What made this party unique was that it was held in an airplane hanger at Lehigh Valley International Airport. All attendees were shuttled to the private hanger by J & J Transportation. The party was meant to recognize more than 100 local businesses that were recognized as being the "Best" in their business, service, and class, voted on by more than 2,000 local consumers in Lehigh Valley. The hanger was beautifully decorated with big blue balloons hanging from the ceiling and elegant flower arrangements. I started my night with a specialty cocktail and food samplings from local vendors such as Copperhead Grille, Corked Wine Bar, Trixie&apos;s Treats and more! Plus, there was live entertainment and a DJ provided by Broadway Social. Over 400 people danced the night away until the music stopped. All proceeds of the night went to raise funds for a local charity called Laughing at my Nightmare, a non- profit for Muscular Dystrophy. Overall, the party was a huge success and confirmed once again that Lehigh Valley really is a great place to stay, play, shop, and dine!